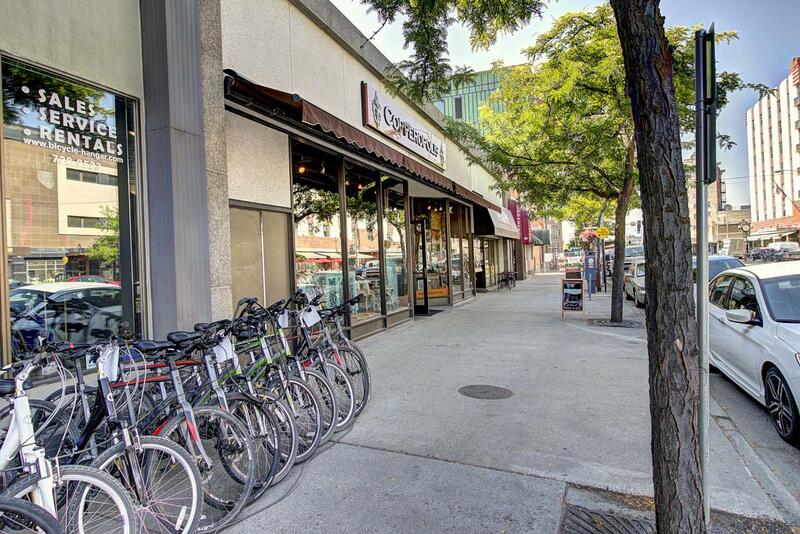 Exceptional lease space with North Higgins frontage in the middle of downtown available soon! 2608 square feet of well finished space sandwiched between the new Mercantile Residence Inn by Marriott hotel, and the MSO Hub on historic Higgins Avenue in downtown Missoula. A spacious usable downstairs can be included (MLS# 21801498), your business will benefit from the foot-traffic of the ever-expanding downtown area and all of the new developments surrounding this block. A recent remodel with tall, open ceilings and great window frontage is perfect for professional, retail, restaurant, bar or a host of other businesses. Space will be available in February 2019. For showings, please call or text Devin Khoury 406-207-8200 or your real estate professional. Listing provided courtesy of Devin Khoury of Purewest Real Estate - Missoula.